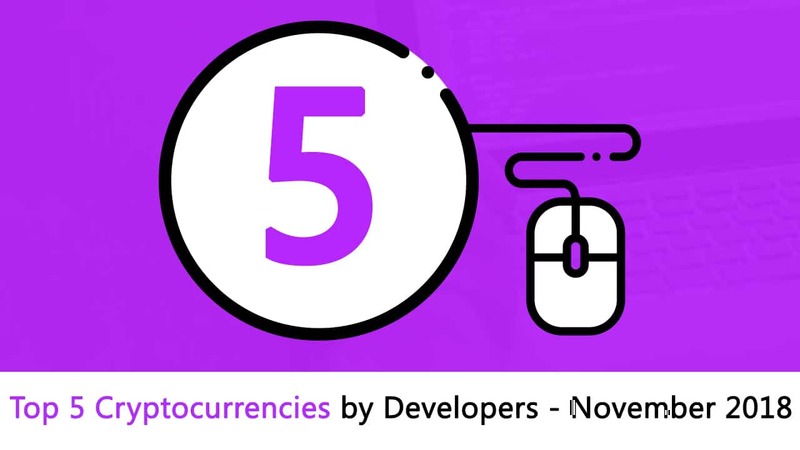 In these series of reports, we are going to examine 5 cryptocurrencies with the most impressive developer activity this month. For this month’s report, we are going to look into all the developer activity done between 28th October – 25th November. The idea of these reports is to show you the projects which are attracting a lot of developers into their ecosystem. 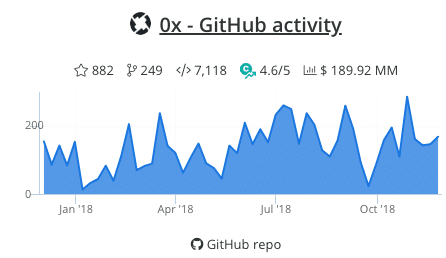 0x has had a pretty productive month with a monstrous 735 commits. A very simple way of understanding the 0x Launch Kit is to draw a comparison to WordPress. While WordPress is a free open-source software that can be used to easily set up a blog, however, it is impractical for large publishers like The New York Times, which may need more functionalities than what WordPress provides. Similarly, the 0x Launch Kit is perfect for dApp developers who want simple functionalities, however, for a more sophisticated dApp, they will need to build their own custom solutions. 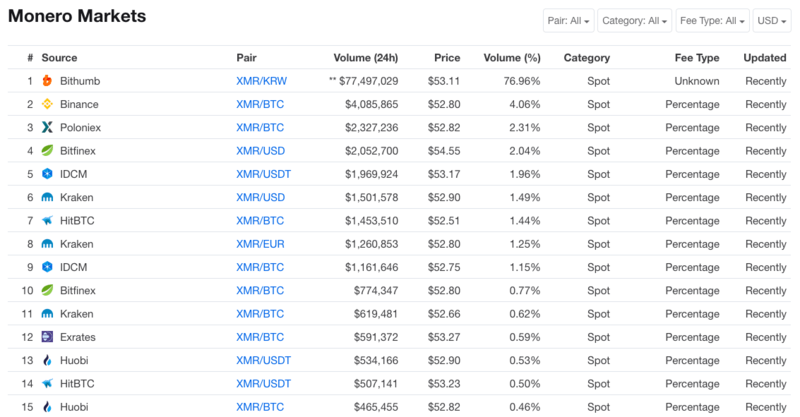 As per coinmarketcap, the exchange volume of 0x over the last month was $378,401,200. It looks like 0x Protocol is always pretty popular when it comes to social media discussions. 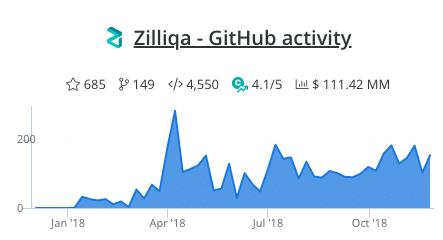 They saw peak social media engagement on 1st November when they revealed the “first steps towards 0x community governance at Devcon 4. On 2nd November they also achieved a good amount of social volume thanks to the release of the Relayer Report #13. The flag-bearers of sharding come second with 571 commits. 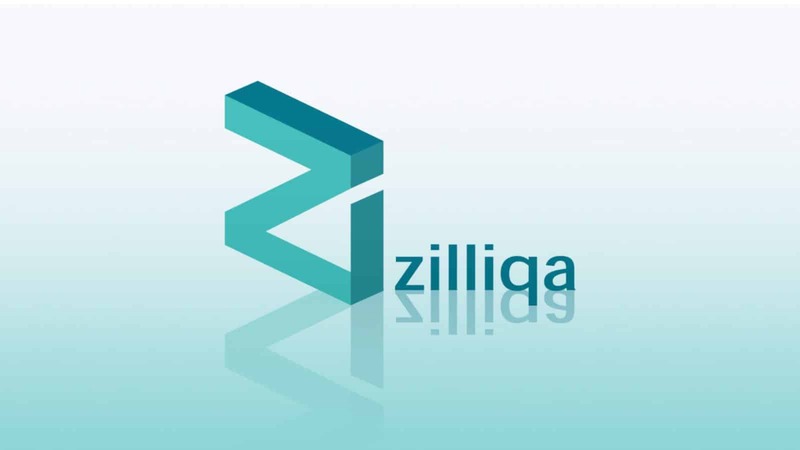 Almost all of the development work going on in Ziliqa is towards their mainnet launch. The team confirmed on 9th November via Telegram that their mainnet launch is on schedule. 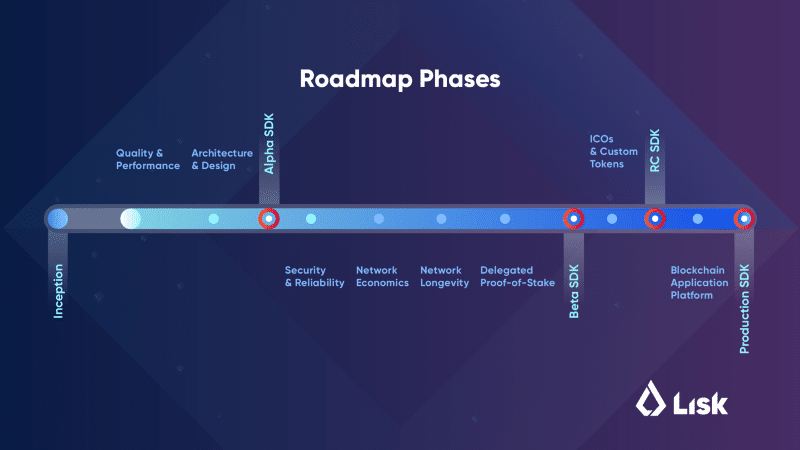 According to their roadmap, the mainnet is scheduled for launch by the end of January 2019. “On the topic of mainnet launch: yes, we are on track and the team are committed to launching by Jan 31, 2019. We were originally planning on sharing more details during our AMA, but decided to answer the question of mainnet ahead of time given the concerns from this community. NOTE: The testnet will be open to external miners end of November 2018. 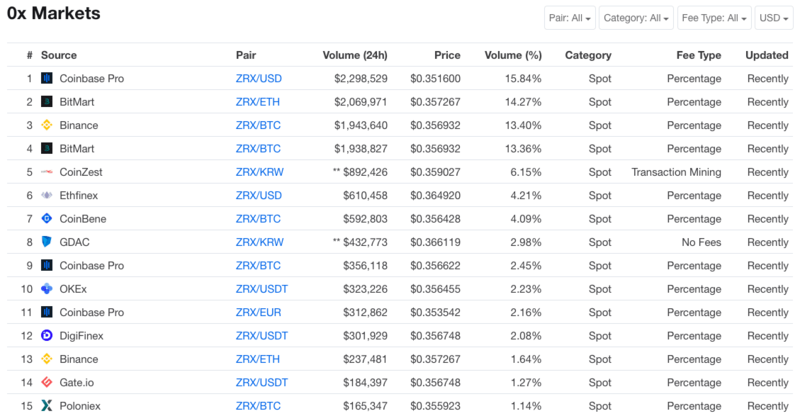 Zilliqa doesn’t have a social volume graph on Solume. Waves have had a pretty busy month as well with 307 commits. 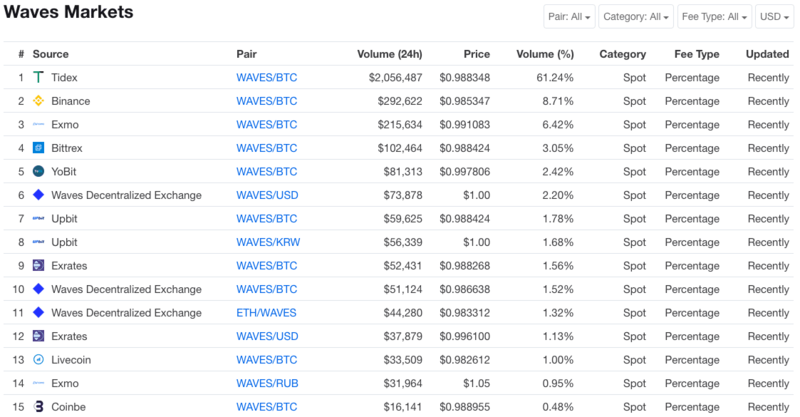 Waves have started testing Smart Assets on their TestNet. Smart Assets will allow Waves users to apply scripts to their tokens. Whenever a transaction for the Smart Asset is created, it is validated by the script before being confirmed by the blockchain. As of right now, the community needs to audit the Smart Assets and make sure that they act as intended. Once that is done, they will be released on the Waves mainnet. Smart Assets will be extremely useful for various blockchain use-cases like gaming. Smart Assets will help game developers create assets which can only be used by players with certain attributes. Eg. When you play RPG style games, there are certain weapons that you can wield only after you reach a certain level right? Smart assets will help developers to create those kinds of in-game assets. Tokenomica is a new cryptocurrency trading platform based on the Waves blockchain. It will be located in Malta and will support trading pairs with both digital assets and fiat currencies while being regulated under the Maltese Virtual Financial Assets Act. Waves Keeper is a browser extension which manages your keys and confirms transactions online without compromising the user’s privacy. This will make Waves much more user-friendly and increase its appeal with the general mainstream. Since the private keys are stored securely within the extension, allowing the user to confirm transactions and engage with Waves-enabled web services and dApps without entering their private keys or passwords. As you can see, the social volume graph had a peak on 19th November. That’s because the Waves Keeper announcement was made on that day. 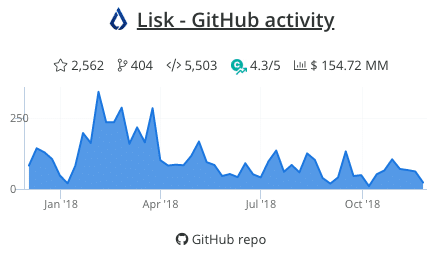 Narrowly coming behind Waves with 305 commits is Lisk. The biggest news of the month is definitely the release of List Core 1.2.0 on the mainnet which happened on November 8th, 2018. This release brings a update to Node.js 8.12.0 requiring node operators to update their nodes. 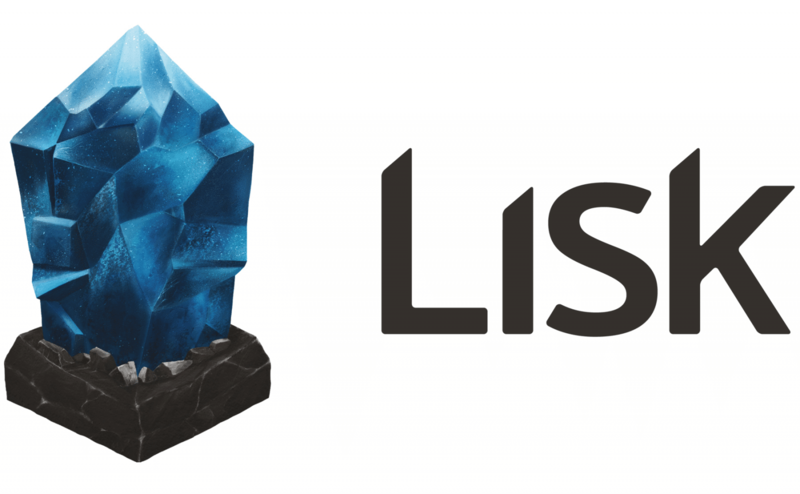 Lisk announced the introduction of Lisk Improvement Proposals, also known as LIPs. LIPs are a form of proposal systems which allows transparent and open discussion on how we develop the Lisk network and all the objectives disclosed on the new roadmap. Lisk Nano was first announced in August 2016. It was the first official standalone wallet which managed LSK tokens. However, the company announced that going forward from November 14 at 12:00 PM CET, Lisk will remove it from their website and officially stop maintaining the code. Lisk’s focus will be solely on Lisk Hub and Lisk Mobile. On November 1, Lisk announced their bug bounty program. 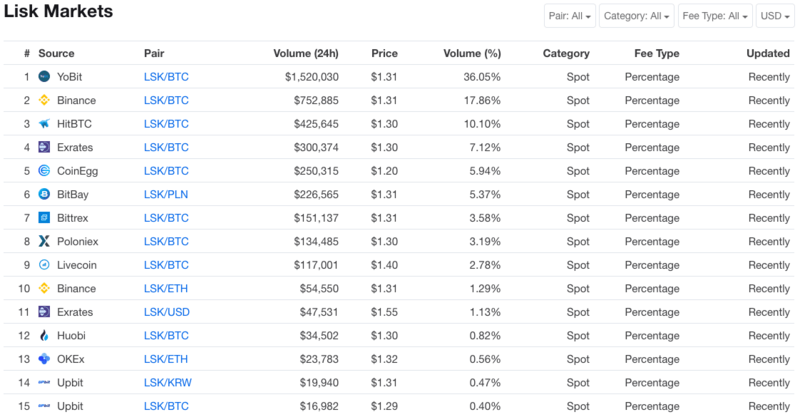 As per coinmarketcap, the exchange volume of Lisk over the last month was $150,421,226. 5th November: Coingecko released the Beam feature which allows LSK token holders to easily keep up-to-date with Lisk. 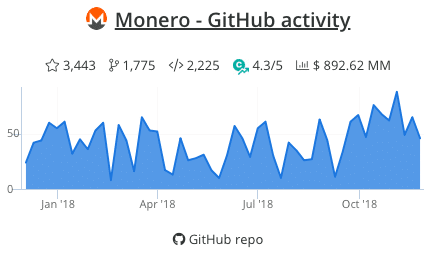 Monero rounds off the top 5 with 264 commits. 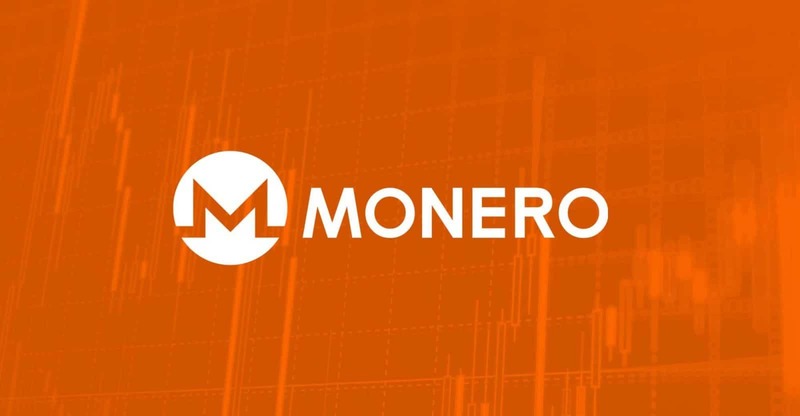 One of the important updates to come through Monero this last month was the implementation of Bulletproofs. Up till now, the problem with transactions in privacy currencies such as Monero and ZCash was the size of their transactions. Large transactions led to longer waiting times and bloated transaction fees. Trezor is one of the leading hardware wallet services in the world and this is surely going to increase Monero’s adoption. Edge released v1.4.3 which not only gave a big boost in the performance and fixes for Edge but also added support for Monero bulletproofs enabling faster and cheaper transactions. 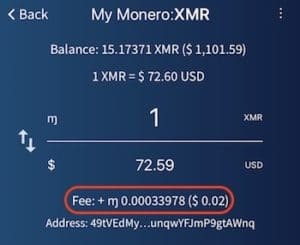 In fact, according to the screenshot below, transaction fees are going as low as $0.02 to fractions of a cent. 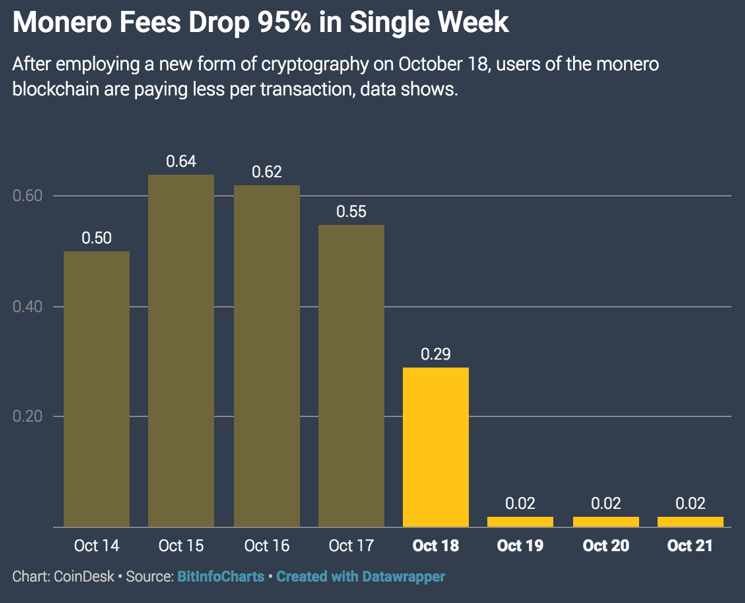 As per coinmarketcap, the exchange volume of XMR(monero) over the last month was $519,660,739. The social media graph hit two peaks on 14th November and 17th November. So these are the five best cryptocurrency projects with the most GitHub commits over the last month ( 28th October – 25th November). We believe that these reports will give you a good insight into what the most active projects are upto.